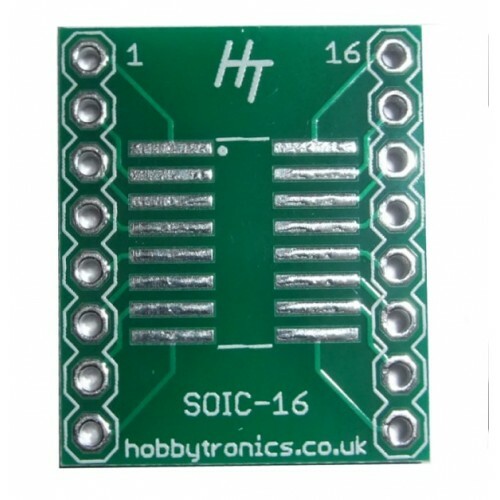 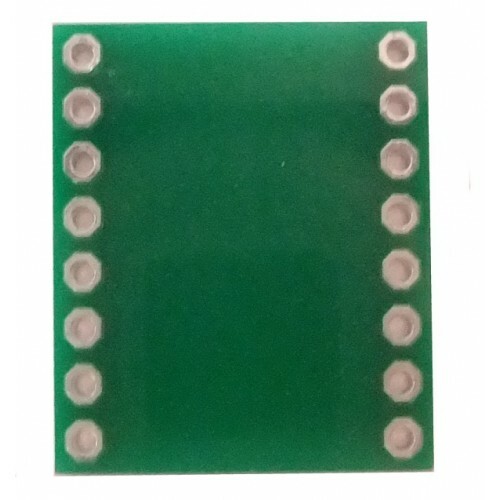 This board will allow you to mount a 16-pin SOIC package, and with the use of standard header pins plug it directly into an 16 pin wide DIL socket, breadboard or PCB. 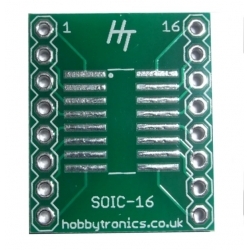 The wide tracks allow both narrow and wide SOIC 16-pin packages to be accomodated. 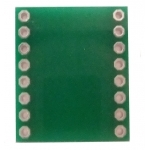 There is a DIP-standard 0.6" spacing between the two rows of pins.